All those bricks are still up there! 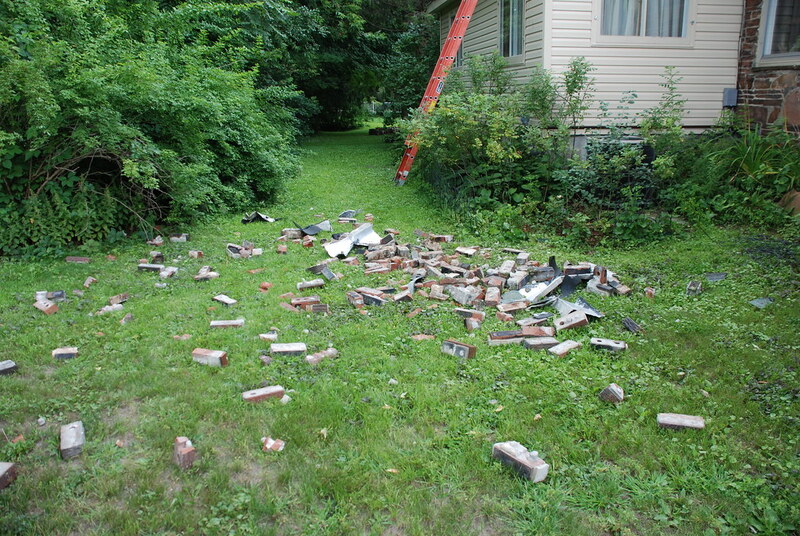 So Tuesday and Wednesday were chimney removal days! Overall it went pretty smoothly with no complications, so I feel pretty lucky. It was a messy, messy job, probably the messiest I have ever done! 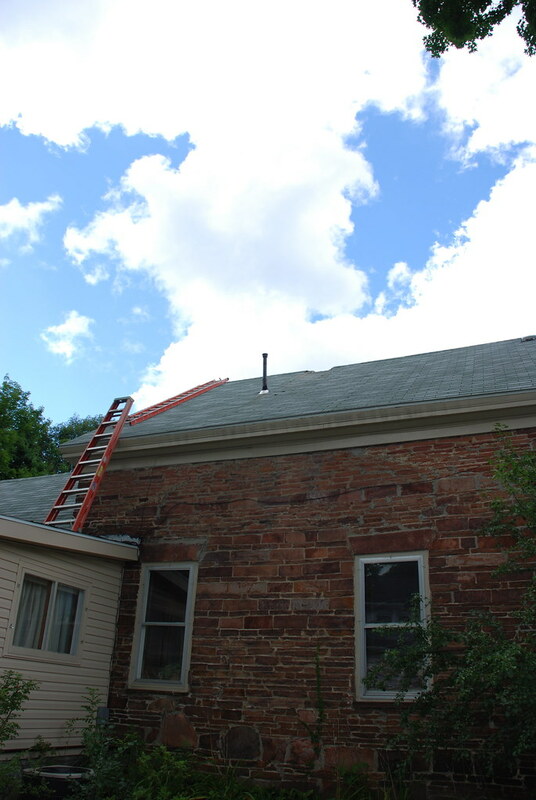 The first day consisted of my friend Dave climbing up on the roof and removing the outer chimney. It came apart very easily in about 20 minutes. 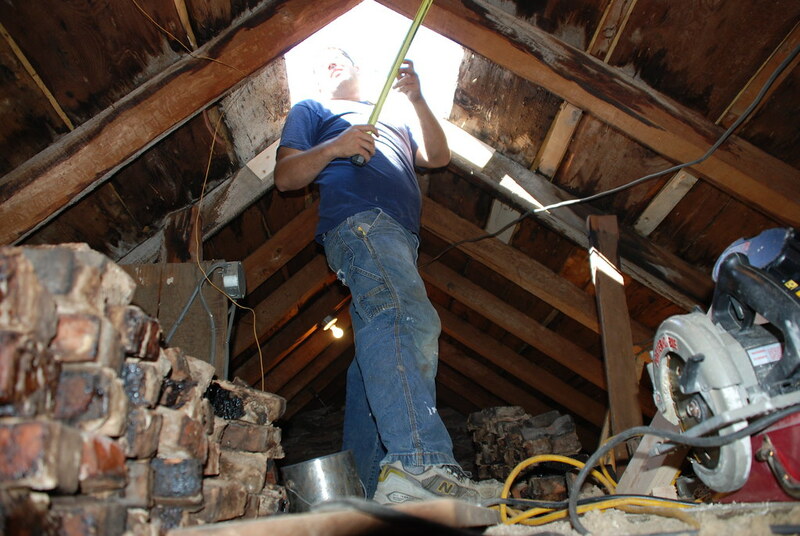 We then moved into the attic and de-constructed that part of the chimney. The attic is small and cramped, and you have to get into it by pulling your whole body up by your arms (thank you gym!) but that only took about a half hour. 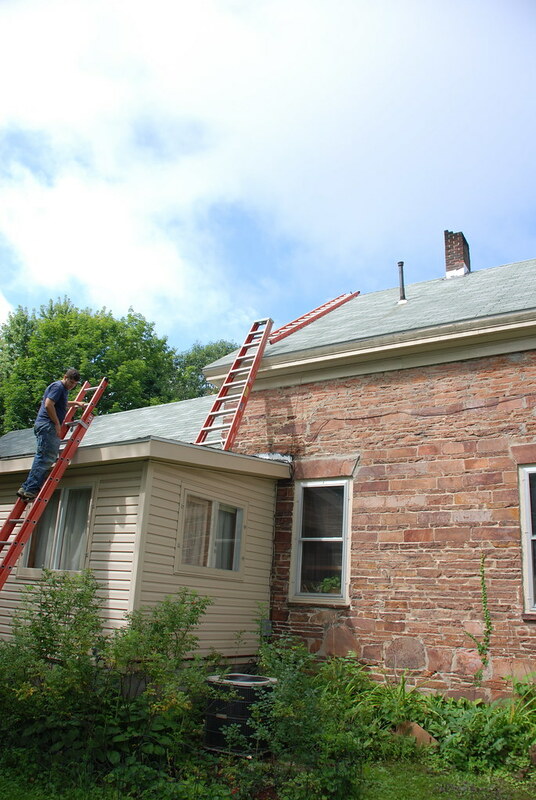 Then Dave went back up onto the roof to patch the hole and shingle the area. Each time Dave climbed up on the roof I had to go up as high as the lower part to hold the ladder on the peak for him. I’m absolutely terrified of heights, even minor ones. But I got through it. So that was the first day. Part 2 coming up! I love the brick on the exterior of your house! I’m terribly afraid of heights so I sympathize. My husband, however, will hop up on a roof no problem so I guess it’s a good balance and makes me a really good ladder holder. I have gotten better with my fear of heights, but even small heights initially instill panic in me!